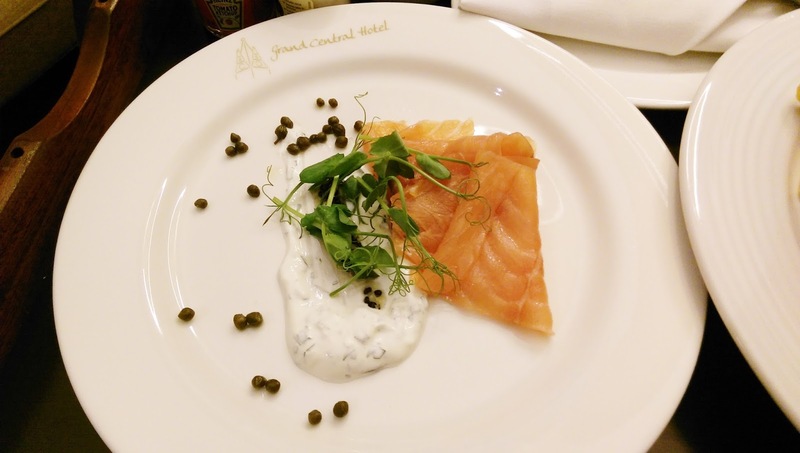 Last week, I descended solo on Glasgow's Grand Central Hotel for a night of quiet and relaxation. The hotel forms the front of Glasgow Central Station's commanding stone facade, and its interior has nods to its railway heritage everywhere. 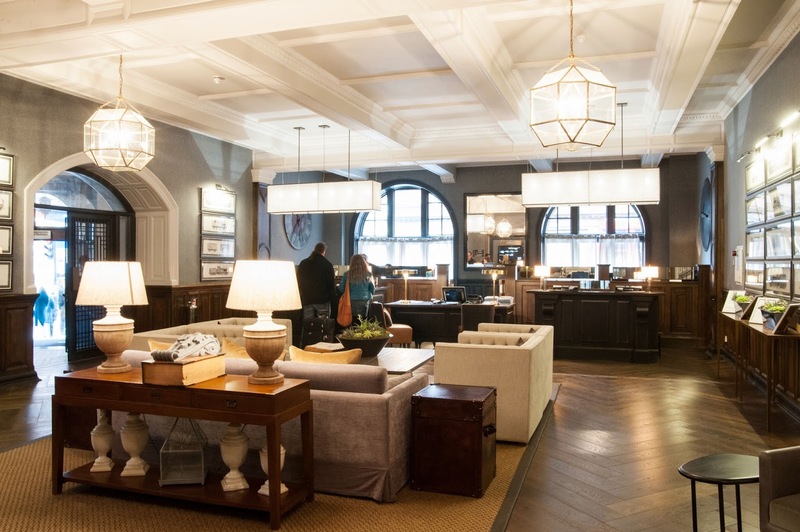 This luxury 4-star hotel has tasteful and modern, but cosy, decor with lots of emphasis on Scottish fabrics and on travel (very apt for its train station setting). On one side of the large reception area, you can exit to the street, and on the other, to the Glasgow Central Station concourse itself; making it the perfect pit-stop for business travellers. 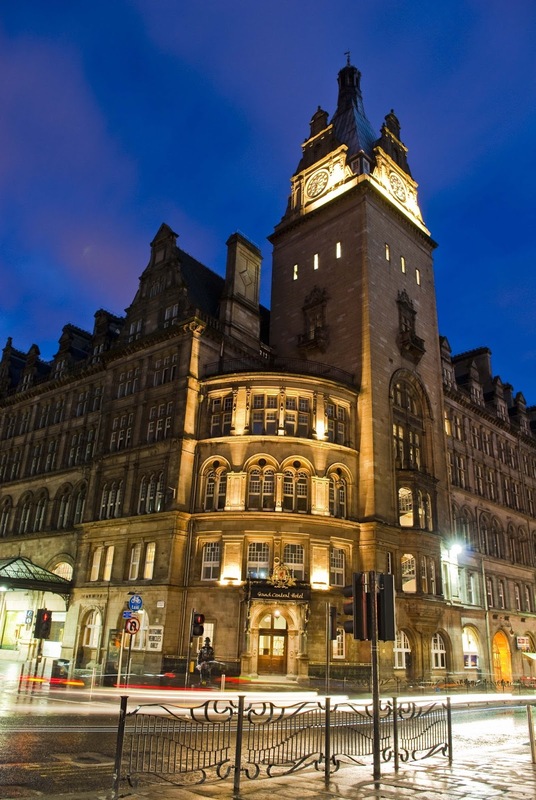 Glasgow's Grand Central Hotel is vast, with 230 rooms ranging from Singles to Suites. I stayed in one of the new 25 square metre Junior Suites. There are 13 of these in the building, and I really felt that I was in a home away from home. On entering the front door to my suite, a long corridor ran to a living room area, off of which was a cosy bedroom and large bathroom. It felt very secluded, quiet and safe; which was great since I was on my own. In the bathroom, I delighted at seeing a giant roll-top bath (perfect for an individual night of pampering), and I adored the gold industrial fittings that were reminiscent of old-fashioned steam train controls. The bed was so comfortable, and I found the handy bendy and extendable bedside reading light ideal for my pre-sleep novel indulgence. 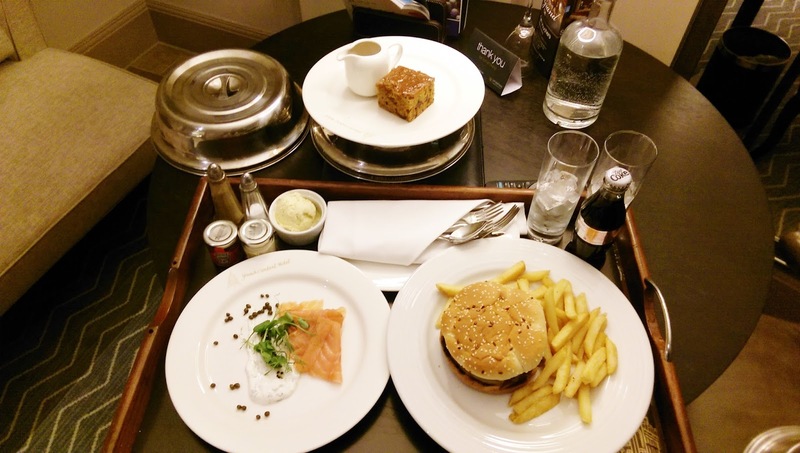 Since I was on my own, I decided to opt for room service for dinner. The menu was extensive and varied; with everything from steaks to pasta. 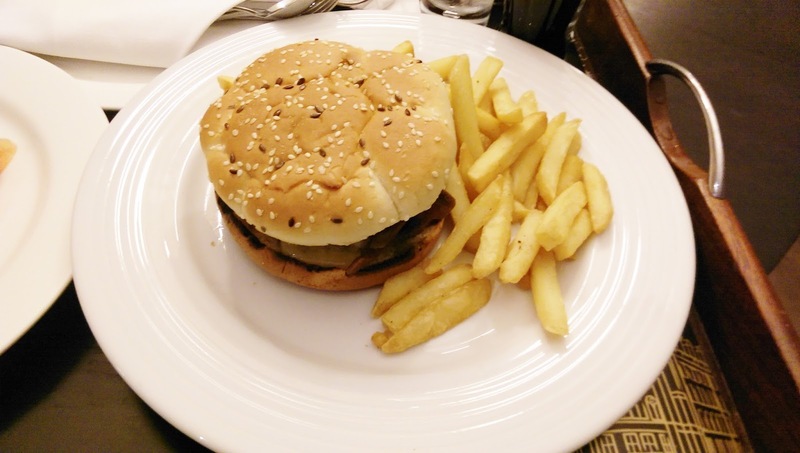 I was starving however, so went for a good old-fashioned bacon cheeseburger with fries. You can definitely tell the food quality from how a place makes their burgers, and this one was huge, juicy and tasty. 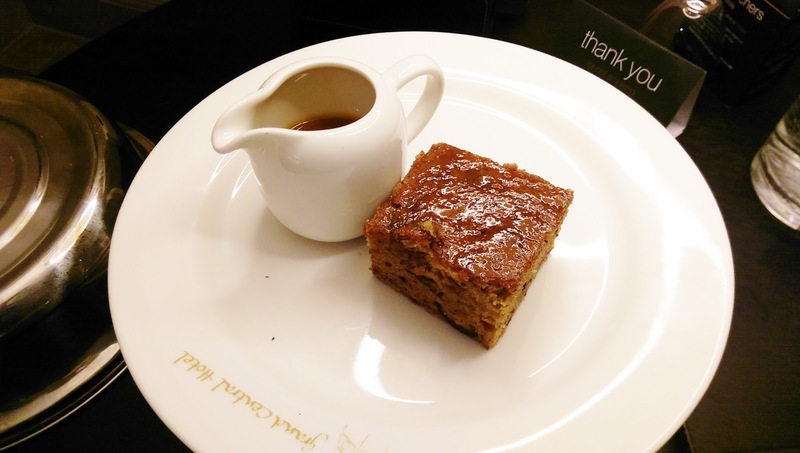 I also had a light starter of fresh smoked salmon, and a moreish dessert of Sticky Toffee Pudding (with the most delicious warm toffee sauce served with it in a jug). Everything arrived hot and freshly cooked too- perfection! I had an amazing night's sleep and a brilliant moreish Scottish breakfast with black pudding and potato scones in the morning. Living in Glasgow, I'll definitely be sneaking off here again for some peace and quiet next time the mood grabs me, as there's free WiFi too, if I wanted to work as well as chill. The Junior Suite I stayed in costs £249 per night, and you can book by calling 0141 240 3700. For more information, visit http://www.thegrandcentralhotel.co.uk. Image 1 & 2 are copyright of the Grand Central Hotel. The rest are copyright of Stylecation.